Being caught up in the harrowing ordeal of discovering your canine pal unconscious, not or barely breathing, or even without a heartbeat can be horrible for any pet owner. It’s worse if you panic, and find yourself frantically crying or lost in a daze, helpless and clueless how to save your dog. Then it strikes you: “Rush the dog to the vet, or ask someone who knows pet CPR for help,” you thought, but that could take a while. It dawns on you finally that perhaps the chances of your dog getting out of death’s clutches would have been better if you yourself know how to perform pet CPR. Pet owners, don’t let yourselves be in this same kind of frightening situation. Find time to learn the basics and steps in executing proper CPR. While it may be true that your pet’s best chances will be when they are in professional hands, it wouldn’t hurt to know how to respond correctly to emergency pet situations for which time is of the essence. An animal may stop breathing possibly because of choking, traumatic injuries, or prolonged illnesses. Resuscitating a cat or dog may save its life or momentarily stabilize its condition until assistance arrives. CPR, or cardiopulmonary resuscitation, involves artificial respiration and chest compressions that require forceful motions. Bear in mind however that CPR poses certain risks such as physical complications and fewer than one in ten pets survives with CPR. True enough that the chance of success with CPR may be slim and not significantly high, but it’s worth the shot. At least it beats doing nothing! We care for our pets but more often than not, we are unprepared for pet emergencies. 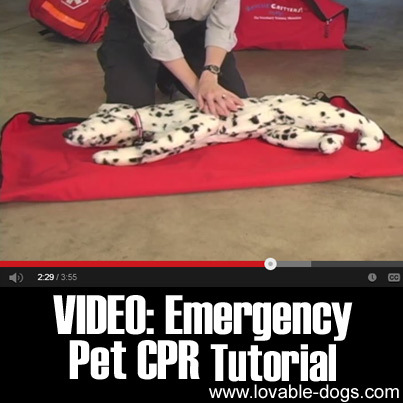 Elaine Acker, the CEO of Pets America, demonstrates through a video the correct way of doing CPR on pets. Did you know that dogs bark in a variety of different ways, depending on the situation and on what they are attempting to communicate? There’s actually a subtle form of “language” at work with the different types and sequences of barks that a dog gives. But what do the various barks mean? This could be really useful information even if you are not a dog owner, because it can help you find out if a dog is friendly, lonely, playful or giving a warning! 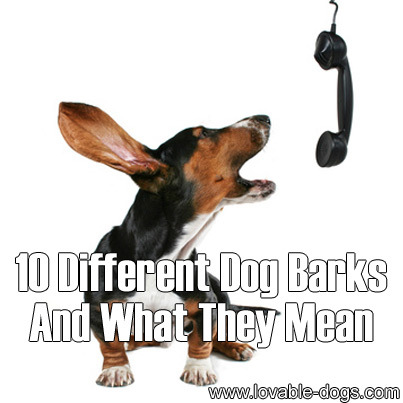 We just found a great list of 10 Different Dog Barks And What They Mean and thought it was really interesting. The “translations” of the dog barks will really help you get an insight into the way the dog’s mind works. It is a great lesson in “dog psychology”. Here’s a quick additional question for for – one of our dogs has started this strange behavior lately of “running around the yard barking at nothing”. She is getting very old and quite deaf, but we wonder if this is a sign of “dog senility”. She seems confused… is she seeing things that aren’t there? What do you think? If you have any thoughts to share or more tips on “decoding dog language”, please let us know in the comments or on our Facebook pages! 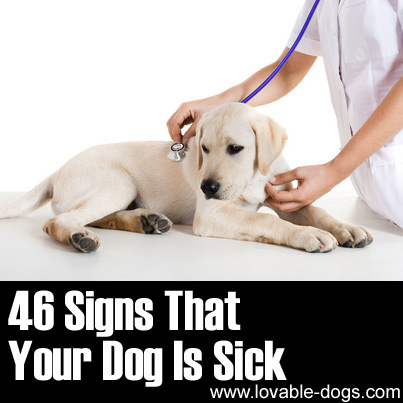 We just found a brilliant post that lists 46 signs and symptoms that your dog is sick – and we had to share! 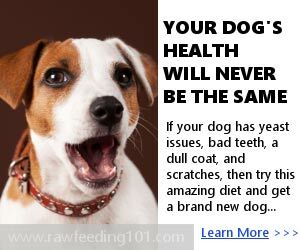 This is great information and it could save your dog’s life one day, so please check out the page. The link follows after our introduction to the topic. When we were kids, back in the days before the internet was widely used (and Google was non-existent!) this information was not easily available. We were told nothing more complex than that if the dog had a hot nose, he was unwell. However this is now not considered a reliable indicator of health or body temperature: A proper dog thermometer is needed. Note – please bear in mind that this list is not a substitute for professional veterinary advice, nor is it an exhaustive list of every possible symptom.